This charming three bedroom holiday home was once a fishing cottage, idyllically tucked away in a quiet nature reserve. This charming three bedroom holiday home was once a fishing cottage, idyllically tucked away in a quiet nature reserve. The cosy home has been thoughtfully furnished and benefits from fantastic panoramic views of the Altantic Ocean and the beautiful sunsets. 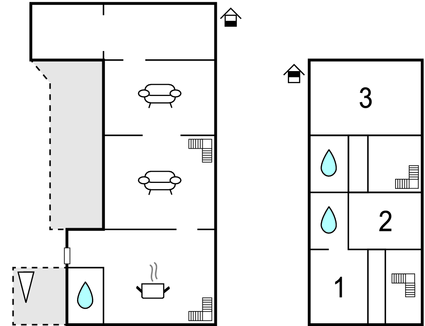 It includes a spacious kitchen, comfortable living area, three bedrooms and two bathrooms. Just 20 metres from the house is a beautiful sandy beach. Alternatively, you can stroll to Plozévet and browse the farmers market. Just 13 km away is the beautiful Bay of Audierne, whilst Pont-Croix with its impressive Notre-Dame de Roscudon church is 11km away. Also worth a visit is Locronan (29 km away), which is considered to be one of the most beautiful villages in France. This villa is made from brick or stone and was originally built in 1957 and refurbished in 2016. The agent has rated it as a three star property so it is a well-kept villa, equipped with standard furniture. It is also good value for money. This villa has beautiful panoramic view over water and is located in Plozévet, 29km from Quimper. 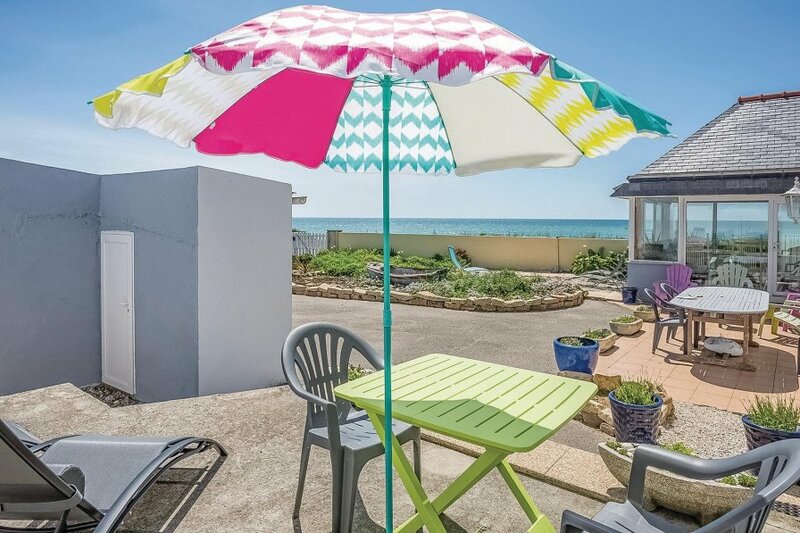 It is set in a very convenient location, just 20 metres away from a sandy beach. There's also a restaurant only 100 metres away.